The human death toll from bird flu rose to at least 113 Friday, as senior health officials from the Group of Eight and international agencies convened in Moscow to discuss ways of improving medical treatment and combating the spread of infectious diseases. The meeting comes ahead of the G-8 summit, which Russia will host in July, and which will also focus on energy security and education. "Infectious diseases continue to be one of the most acute problems in health care," said Russian Health Minister Mikhail Zurabov. He proposed developing a global information and analysis system to monitor infectious diseases, as well as setting up an international bank of anti-viral drugs. He also urged the international community to increase efforts to stem the spread of HIV and AIDS, and to create a global system for monitoring flu outbreaks in connection with bird flu. Indonesia reported its 25th death from the H5N1 strain of bird flu on Friday and China said an 8-year-old girl had contracted the disease. Vietnam's agricultural minister, meanwhile, said his country would need an additional US$400 million to help fight the virus and prepare for a potential pandemic. The 30-year-old Indonesian man who died this week had contact with infected chickens in Tangerang, a city 25 miles west of the capital Jakarta, said Health Ministry official Hariadi Wibisono. Local tests indicated he had bird flu, Wibisono said, but the results still need to be confirmed by a World Health Organization-sanctioned laboratory in Hong Kong. That could take three to seven days. Indonesia's human toll from H5N1 is currently at 24, according to WHO, the second highest in the world after Vietnam. The sprawling archipelago is logging cases faster than any other country, leading some international health experts to say it could do more to battle the virus. The government, saying it lacks the money for mass bird slaughtering in infected areas, is relying mostly on vaccinating birds and carrying out limited culls in places where people have died. China reported its 18th case of the virus, 12 of which have resulted in death. The 8-year-old girl from Suining, a city in the southwest province of Sichuan, showed symptoms of fever and pneumonia on April 16 and was being treated at a local hospital, the Health Ministry said in a statement. Investigations show that poultry deaths were reported at her home before she got sick, the ministry said, without giving any more details on the outbreak. People who came into close contact with the girl, surnamed Sun, have been put under medical observation and none have shown any abnormal symptoms, the ministry said. Vietnam has been applauded in recent months for strides it has made in fighting the virus through a mass poultry vaccination campaign that began last year, combined with increased surveillance and awareness. 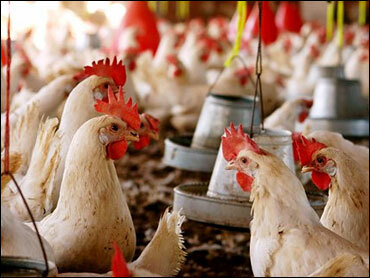 It has not reported any poultry outbreaks since December and no human bird flu cases since November. But Hans Troedsson, WHO representative in Vietnam, said the Southeast nation must remain on alert. "If there would be complacency now, Vietnam would be facing imminent risk," he said. "What's important is that we are not having a false security thinking that the threat is over from avian influenza in Vietnam." The country's agriculture minister, Cao Duc Phat, said Friday some $400 million would be needed in the next five years to fight the virus and prepare for a potential pandemic. Half of the money, he said, should come from international donors. Bird flu has killed at least 113 people since it began ravaging Asian poultry stocks in 2003. The virus remains hard for people to catch, but health experts fear it could eventually mutate into a form that spreads easily from person to person, potentially sparking a pandemic.